Can you afford not to have ProGlide? · What could you do with the extra free space? Throughout business, increasing productivity has become a vital part of everyday life. And with ever increasing office costs – £600 m2 p.a. according to the latest survey – most businesses are now looking for ways to get the best use of their valuable office space. (2006 Total Office Cost Survey). The new Proglide mobile shelving is the most efficient way to store office documents. 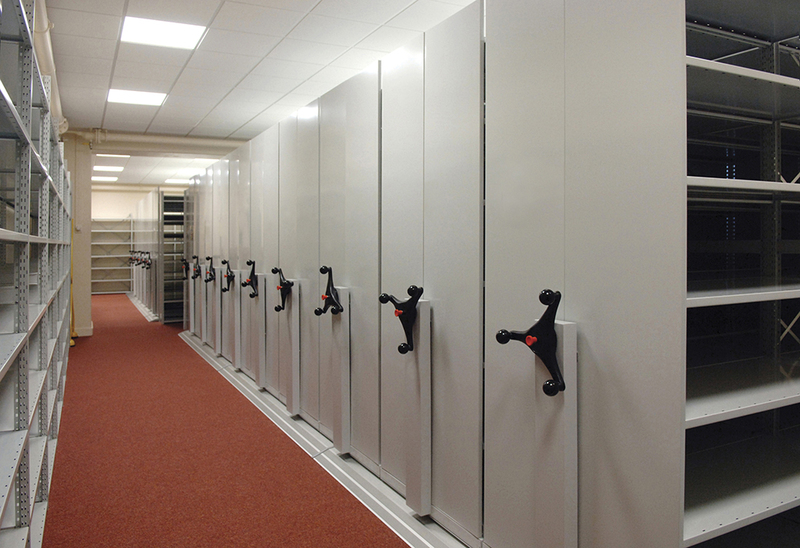 Its high-density design allows you to store the same amount of documents in 50% of the space compared to traditional storage systems. So whether you want to fit in additional staff or increase your storage capacity, ProGlide is the storage system you require. ProGlide is designed and manufactured in the UK to the highest quality standards and with the attention to detail you expect. ProGlide is fast and done without disruption to your business. With our professional installation team, you will be benefiting from your ProGlide system in a flash.